World chess #2 shares with Evangelical Focus his Christian convictions and the central role faith plays in his day-to-day life, which he defines as “simple and quiet”. 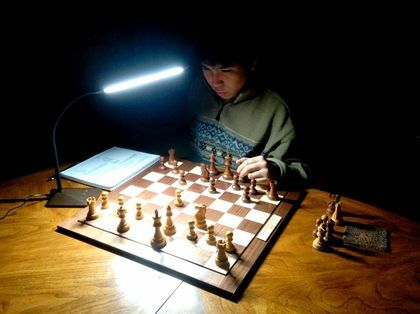 He was born in the Philippines in an environment of poverty, but his skill with the 64-square board did not go unnoticed. Since he won his first tournament, when he was nine, until today (23), his career has been progressing, to become No. 2 in the chess world ranking in February 2017. But he is not obsessed with success and prefers to play one game at a time. Nowadays, he lives in the United States - the country for which he competes - but he spends much time traveling to play tournaments, facing the world's strongest rivals, such as Magnus Carlsen or Fabiano Caruana. To stay focused on his career, So says that he has put aside the world of social networks and the internet. Even so, he keeps his Facebook page updated, where it is usual to read about his gratitude to God, whether in victory or defeat. He became a Christian after reflecting and asking questions. As a Christian, he says, “you are asked to act on your beliefs so you have to seriously think about them”, he told Evangelical Focus. 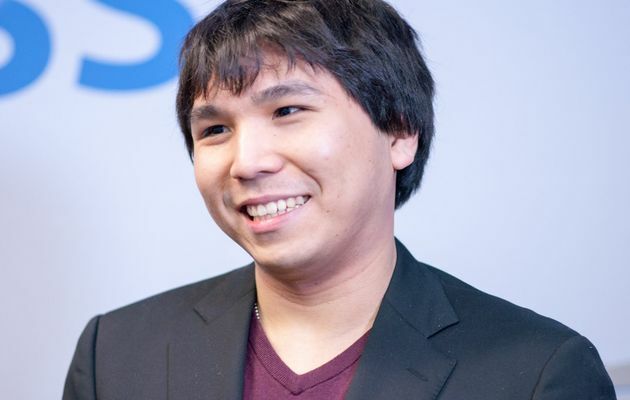 For Wesley So, playing chess is a way to honor God, “whatever I accomplish I offer up to Him as a sacrifice of praise”. Question. We are aware that professional chess is very hard and needs a lot of discipline. How does your faith in Christ impact your daily life? Does it help you in your career? Answer. I live a very simple and quiet life. My Bible reading, my chess work, my home chores, physical exercise, etc. On the weekends we go to church, have lunch in a nice place and then go home to watch movies. Our lives are not exciting by others standards but we like it this way. We try to stay away from the internet and controversies because it is not God’s will to think or say evil of others and the internet encourages you to do that. We also put some time in supporting the needs of the poor because I was once poor myself and the wealth God has given is a heavy responsibility. Q. In recent victories - Olympic Games, London Chess, Tata Steel - we have seen you thanking God. And you usually sign your Facebook posts saying “All Glory to God”. Why is it important for you to express this confidence in God? A. Because I am not foolish enough to think I can do this by myself. Clearly I am just an ordinary boy from a small town. Was I born with some talent? Yes. But so were many many others. God given talent is only one aspect of succeeding. The particular opportunities that have come my way are mysterious. What does God want from me? I don’t know exactly but I trust that He will lead me to His will for my life. So whatever I accomplish I offer up to Him as a sacrifice of praise. Q. Some people see chess as a very “cerebral” game - in fact it is - and they also relate that with being “skeptic”. How do you live your faith in this context? A. I became a Christian because it is the thinking man’s religion. You have to ask questions. You have to make decisions. You have to study the Bible and ponder if it makes sense to you. You are asked to act on your beliefs so you have to seriously think about them. People like to say I am “lucky”, What is that? It takes more faith to believe in some vague unstable concept like “luck” than to believe in God who gives us many records of Himself and His involvement in the affairs of men. Q. You have had a great 2016 and the start of 2017 is even better. Do you think you can reach #1 soon? A. I don’t think that far ahead. It is a waste of time day dreaming of what might be. I work hard every day and play one game at a time. If I am able to play better than the extremely talented men I compete against, then, I will move ahead. If not, I won’t. All my competitors are hugely talented. I want to win but in the end I submit to the will of God because I know His will is perfect.